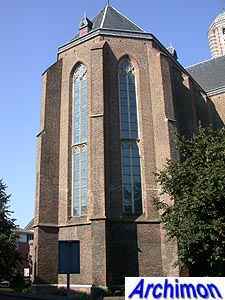 The O.L. 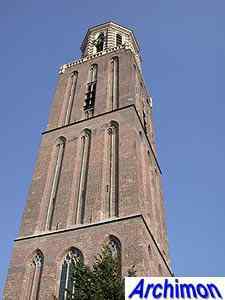 Vrouwekerk, or Church of Our Lady, is the only medieval church in Zwolle with a tower. 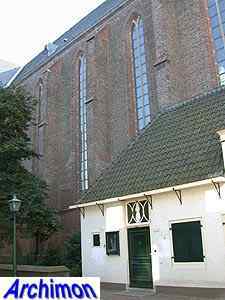 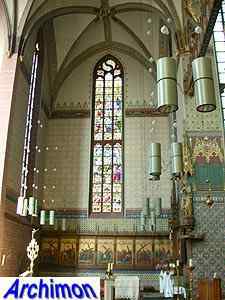 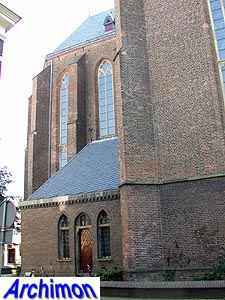 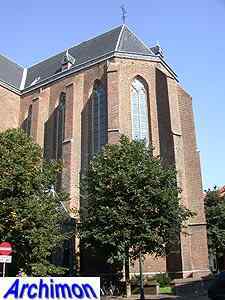 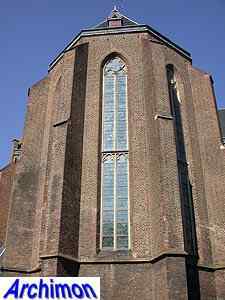 It is a late-Gothic one-aisled cruciform church, built after plans by Berend van Koblenz. 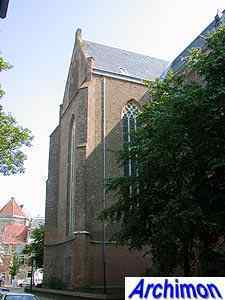 The oldest part of the church is the choir, construction of which started in 1394 and continued until 1399. 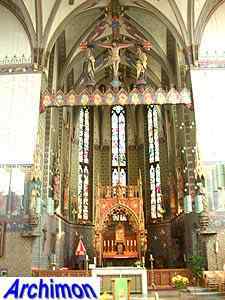 The transept and the eastern trave of the nave were completed in ca. 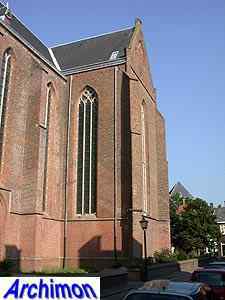 1417. 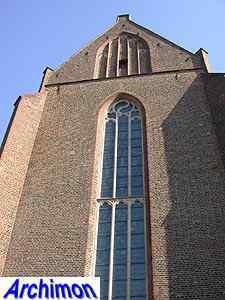 For the next decades no further work was done on the building, since all means are needed for the rebuilding of the parish-church St. Michaël. 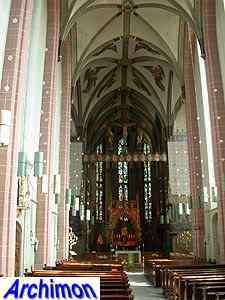 In 1452 work finally continued, and the rest of the nave was built until 1454. 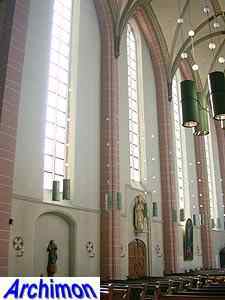 The walls of the nave are almost wice as thick as those of the choir. 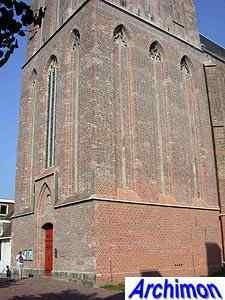 Originally a tower was not part of the plan. 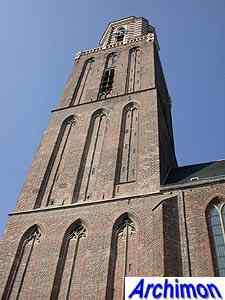 However, one was built between 1463 and 1484. 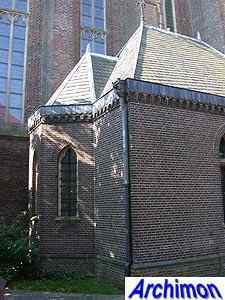 The octagonal lantern on top dates from 1538-1540. 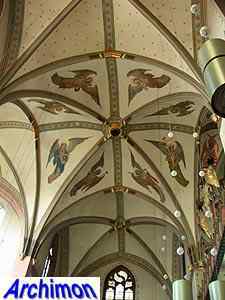 Its dome-roof dates from 1828 and replaced a previous one destroyed by lightning in 1815. 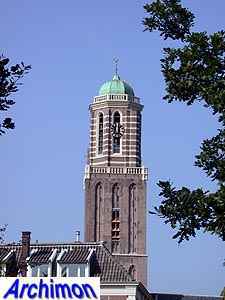 The tower is nicknamed 'De Peperbus' (the pepperpot) because of the shape of the lantern. 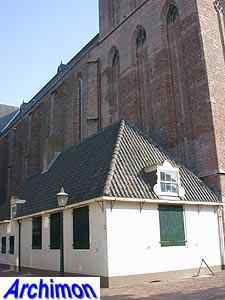 During the Middle Ages the building was officially only a chapel. 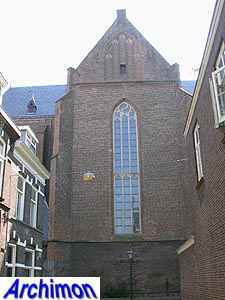 Several years after the Reformation the church was closed by the protestant authorities. 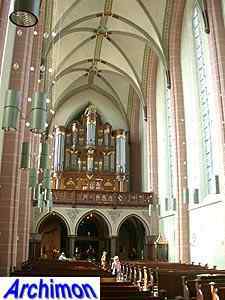 From 1591 until 1809 it was used for various purposes, none of which of a religious nature. 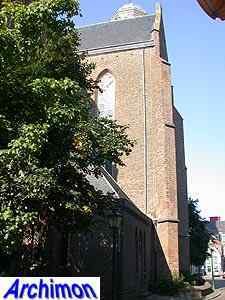 Only from 1672 and 1674, when troops from Munster and Cologne temporarily made an end to protestant rule, could the catholics use the St. Michaël, the protestants using the Church of Our Lady in these years. 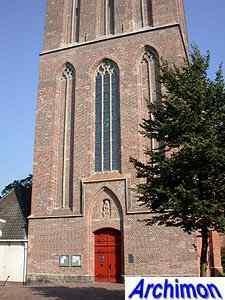 After the Germans left the church was once again closed. 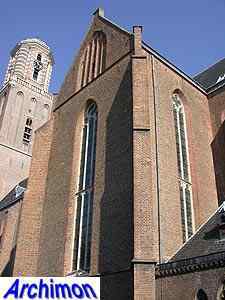 In 1809 it was returned to the catholics by king Lodewijk Napoleon. 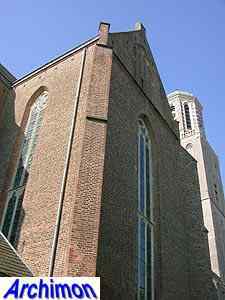 After provisional repairs the first mass was held in 1811. 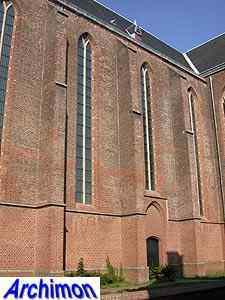 In 1887-1889 the building was extended with two side-aisles, which were again removed during a restoration between 1970 and 1980. 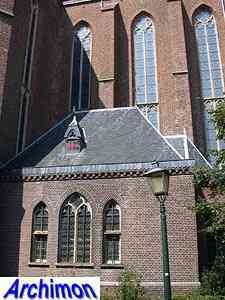 The neo-Gothic interior has largely survived. 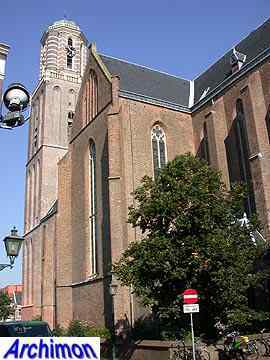 In 1999 the church was granted the honorary title of Basilica Minor.